I was on vacation last week on an island in Maine. It has been a harsh reality coming back to Providence and the work week, after lazy, beach days and cool, star-filled evenings. Each night I bundled up in a big blue wool blanket to keep me warm, but I wished I had brought wool slippers for my feet! I was surprised how chilly the evenings were after the sun set over the ocean. 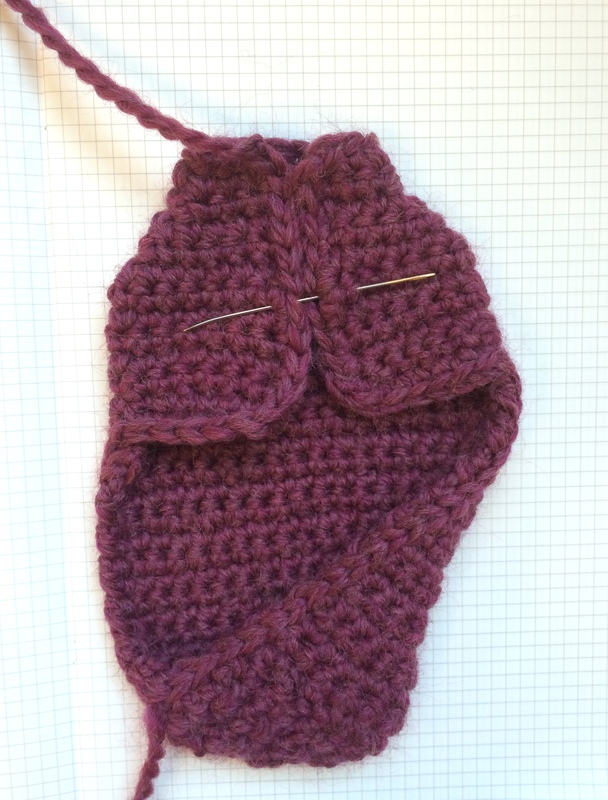 Pitter-Patter is a simple slipper pattern from booklet #367 Berroco Home. 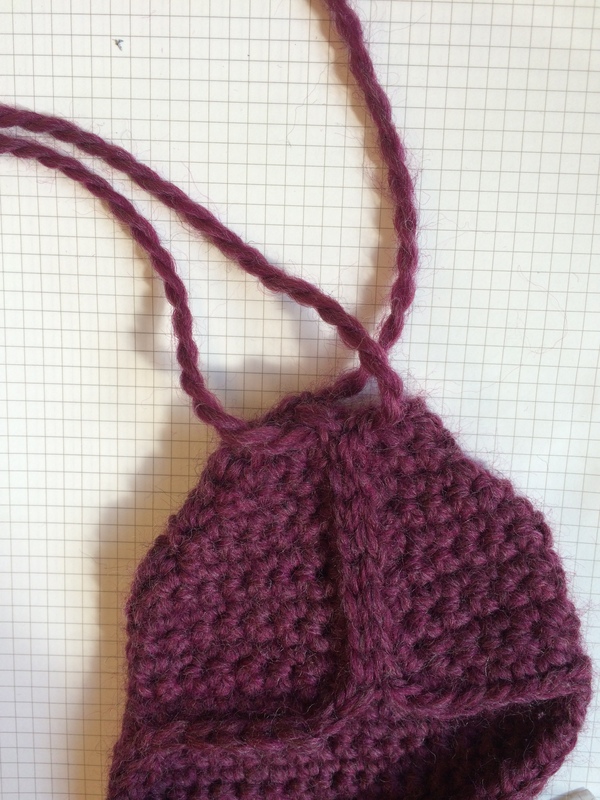 This is a great project for a beginning crocheter because the stitches are basic and work up quickly. I made one slipper in just a few hours this morning! 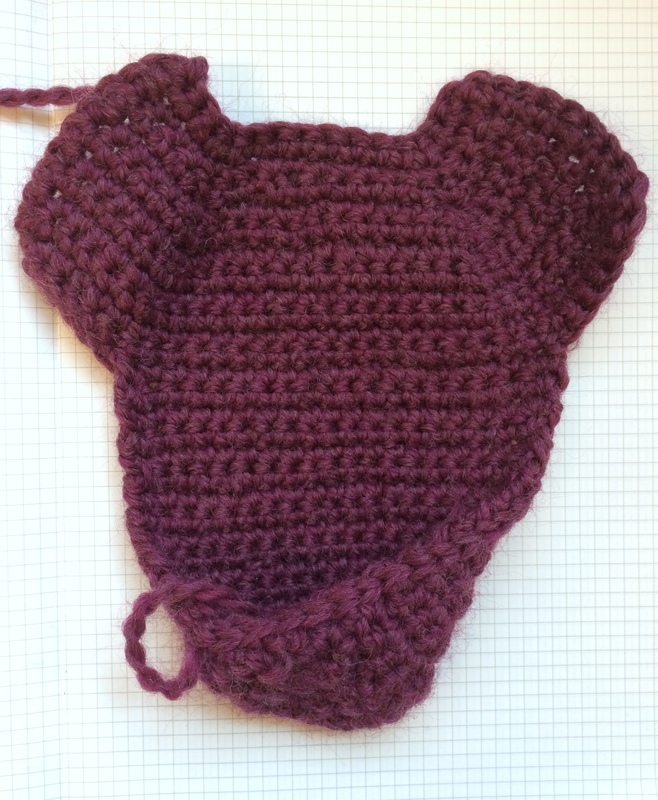 The slippers are crocheted as one flat piece. 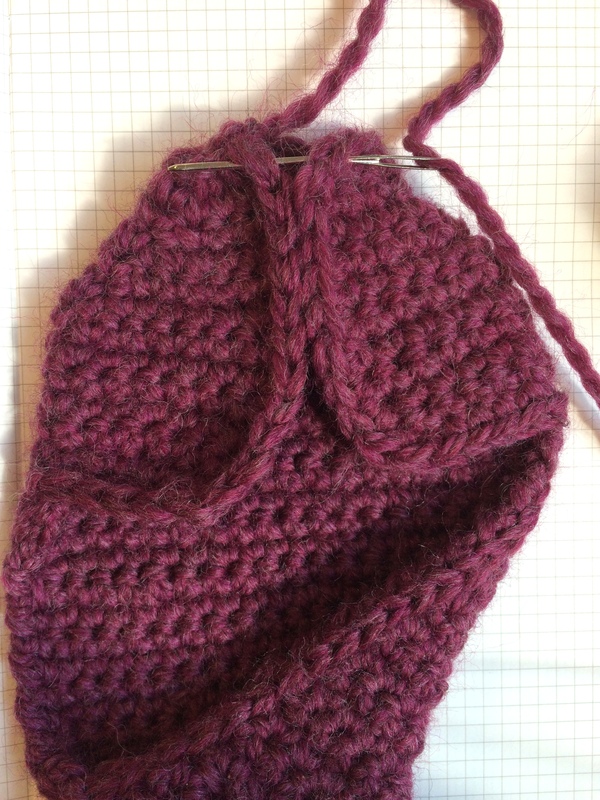 Then there is just a little bit of seaming at the top of the foot and toe to finish. 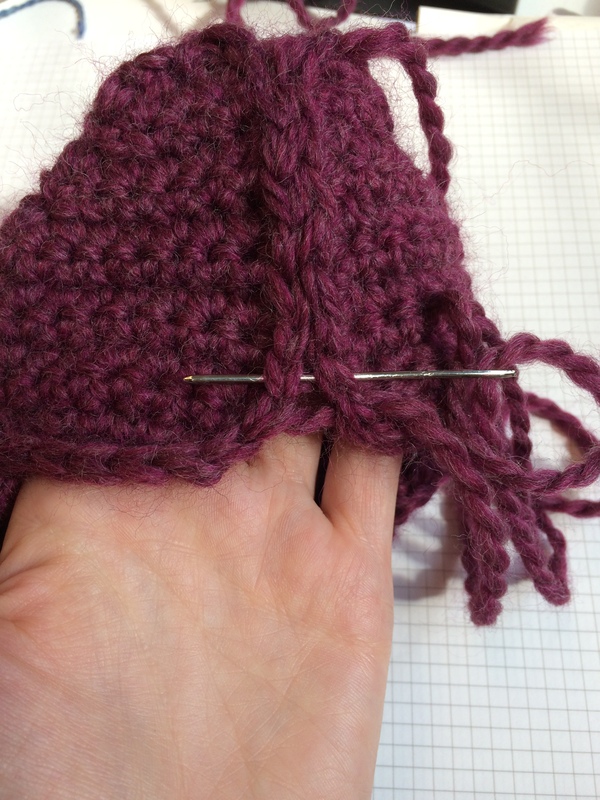 When seaming, Amy suggests beginning at the toe and sewing towards the foot. Insert your darning needle under the last stitch that forms a v-shape on the right side of your slipper, then insert your needle under the corresponding stitch on the other side. 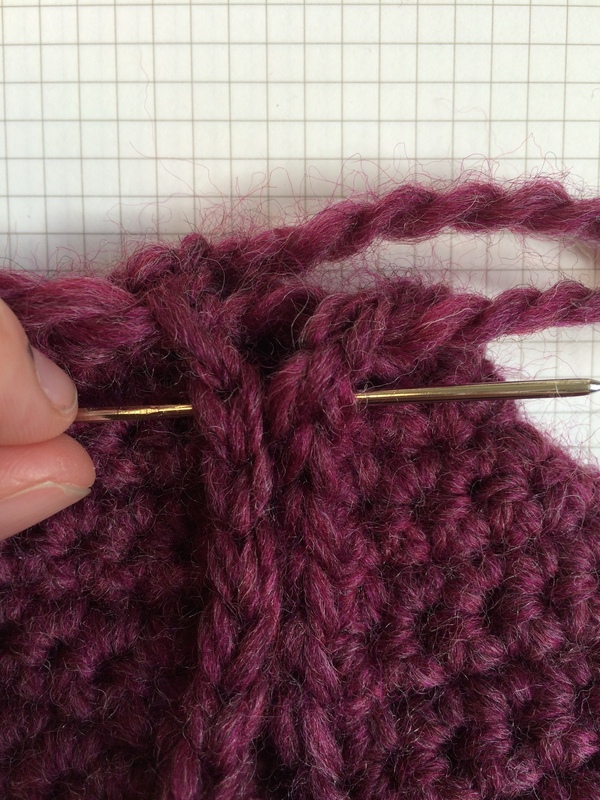 Continue, inserting your needle under the last stitch of the left side of your slipper then across to the corresponding stitch on the right side. Continue working this way until you are about to reach the end of the top of the foot and your slipper forms a heart shape. End with inserting your needle from left to right. Now you will go ahead and work back towards the toe in the same pattern as before. Inserting your needle from right to left back towards the toe. End with all your ends at the open toe. I suggest turning your slipper foot inside out and weaving the open toe together from the inside for a clean finish. P.S. 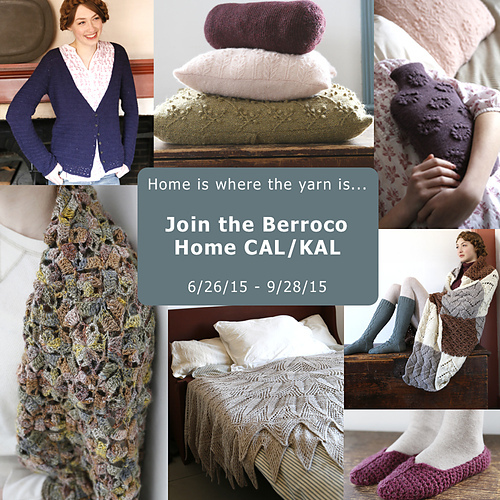 Don’t forget to join the Berroco Home KAL/CAL and make your slippers to earn a free PDF coupon code! Previous article Amy’s Thread: What’s on Your Needles?